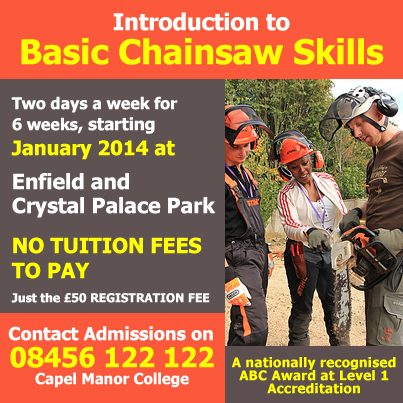 Training Course: Basic Chainsaw Skills! We are working with Groundwork again this year, helping them 'take down and re-use' some of the Show Gardens at RHS Flower Shows. Plants and landscaping material from the show gardens are gathered to be redistributed to community gardens and landscaping projects across London. We have ten Lewisham Community Garden volunteers going along to help out on site and there is room for you too! Volunteers will work at least one shift, either between 10:00am-3:00pm and 12:00pm-5:00pm. There is lots of camaraderie and fun. Spring Garden tours at Perch Hill with Sarah Raven this weekend. This weekend, if you aren't volunteersing in a garden, why not visit one? Sarah Raven is offering tours around Perch Hill this Saturday- its 90 mins from London. The Chelsea Flower Show celebrates its Centenary this year and in celebration they wiill crown a 'Plant of the Centenary'. They have a shortlist of ten plants with strong connections to Chelsea, and they are currently looking for lively folk to 'champion' them on camera. Members of the public will then vote for their favourite- the winner becomes Plant of the Centenary. If you're interested please read on! Would you like to come to the RHS Chelsea Flower Show on the prestigious press day? . A top secret shortlist of ten plants, each representing one decade of the past 100 years of the show, has been chosen by a panel of renowned horticulturalists including Bob Sweet, Roy Lancaster and Rachel de Thame. Once the shortlist is announced, members of the public and visitors to the Show (where the plants will be displayed) will be invited to vote for their favourite and choose one to be crowned Plant of the Centenary. This is where you come in. The shortlist of ten plants is being kept top secret until we open the voting so unfortunately we can’t tell you which plants we are looking for ambassadors for. So if you are interested in coming along to Chelsea and championing a plant, it’s very important that you tell us what sort of plants you generally enjoy growing to help us chose champions who will be genuinely passionate about their plant. The closing date for entries is Sunday 31st March at midnight but we might start approaching people before that so get your entries in soon to stand the best chance of being chosen. If we think you might be a good champion for one of our plants, I will get in touch with to have a quick chat and to let you know which plant you are being considered for and confirm filming details. If at this point you decide you don’t want to represent the plant we are considering you for and want to take yourself out of consideration you must still keep the names of any plants from the shortlist which you have been told a secret. 72 Hours Accredited Full Permaculture Design Course over 7 week ends. The course is accredited by the Permaculture Association of Britain and allows access to the Diploma in Applied Permaculture Design. Slightly out of the borough (!) but expenses are ccovered. 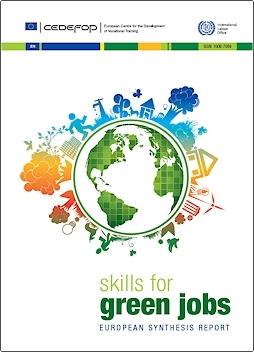 The Skills for Green Jobs project is an EU funded scheme, placing unemployed young people (graduates and non-graduates) in environmental businesses and organisations in Andalucia, Spain. Applications are now being accepted for 10 places, starting in January that include an environmental education centre, a solar plumbing company, an environmental community network, and a consumer rights NGO. Accomodation, bills, flights, transfers, insurance and language lessons will be all paid for. This programme will provide the opportunity to experience practical environmental change, while developing your language skills and enhancing your CV. The current round of placements is from January 13th until April 13th, so you must be available then. To apply, please download an application form from Red Ochre's website (link below), and return it with your CV to Martin Cooper - [email protected] by 1pm on the 16th November 2012. It’s nearly the end of the beekeeping year and we would like to finish our year with our biggest event to date! Our Honey Tasting event! On Thursday 13th September from 5.30pm to 8pm we’re inviting a range of urban beekeepers along with our members and Global Generation to celebrate with us the success of urban beekeeping and the Honey Club. We still have a few spots left for some enthusiastic and passionate beekeepers to participate in the event – to share their honey (and sell it of course), their stories and ideas with people who love bees (and everything related) as much as they do. We’ll provide you with a stand and help curate your wares beautifully. 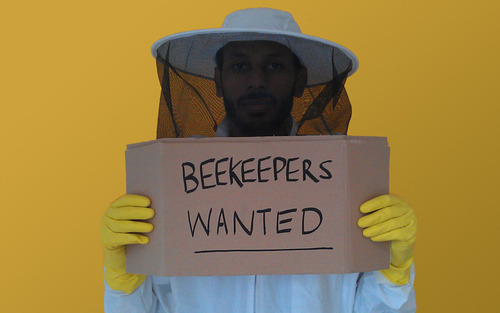 So if you’re a beekeeeper (amateurs and pros both welcome) or know of any who’d be interested in our event, please get in touch at [email protected] or via Twitter (@HoneyClubKingsX). The Honey Club is a social enterprise that aims to create the biggest bee-friendly network in the world, starting with our local community in Kings Cross, London. Take a free guided tour around its 2012 Gardens, thanks to the launch of a new app. GPS-enabled, the app guides visitors through the gardens’ four climatic zones: Europe, North America, the southern hemisphere and Asia, which represent a timeline of Britain’s plant-hunting heritage. There is information on the plant communities of each zone – the European Garden, for example, is inspired by hay meadows – a photo gallery and interviews with the gardens’ designers: James Hitchmough, Nigel Dunnett and Sarah Price. The app was commissioned by the Olympic Delivery Authority and the potential to develop it into a park-wide educational tool for use after the Games is currently being discussed. If you want to find out more about all the gardens at the Olympic Park click here.